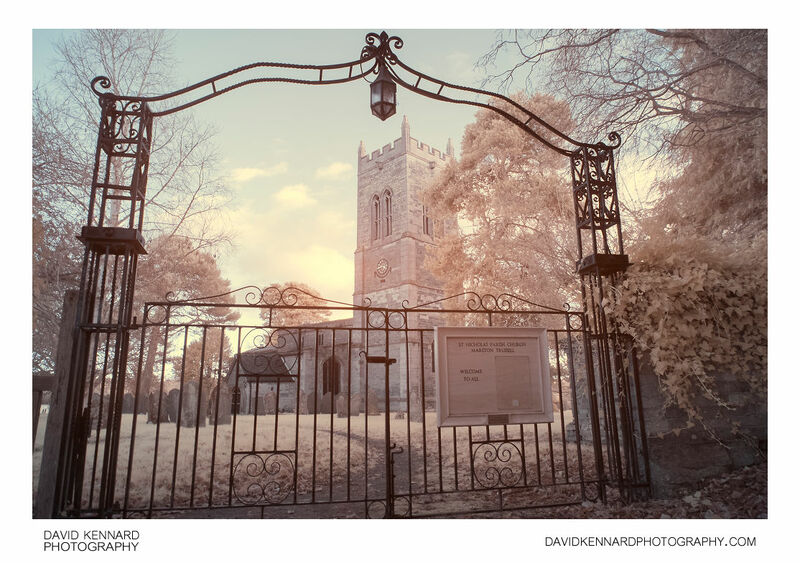 False colour infrared photo of the wrought iron gateway to St. Nicholas Church, in Marston Trussell, Northamptonshire. The church and graveyard are visible beyond the gateway. At the top of the gateway is a lantern, useful for keeping the gate visible on dark winter evenings. Attached to one of the gates is a noticeboard, but with no notices on it. The church dates from the 13th century, though has had several modifications since that time. The tower was added around 1525.